ETC believes in giving back to the community we live in, locally and globally. ETC has partnered with Children of Grace, a non-profit aid organization supporting Ugandan orphans and their communities. Please take a moment to enjoy this short and touching video. Your contribution helped make this all possible and we wanted to make sure you know that you made a difference in the world of these two families, as well as our own. Have you ever wanted to be a part of something incredibly special, make an impact, be the difference in a family’s life? This summer we are going to Uganda and this trip will allow us to build, not one, but two homes for families living in abject poverty in rural Uganda. These homes will allow the doors to open for these families that have virtually nothing. Joined together we can play an important role in helping people whose lives are impacted by serious poverty. This has been a recurring outreach with ETC Building & Design and each time we employ local Ugandans to build these houses, in turn, they learn a trade, which helps them build a bright future. It is an honor to help build not just homes, but futures! We want to thank you in advance for considering a charitable heartfelt donation, a gift of any size will amount to something big and together we can make a difference. ETC volunteered to give away bikes to Families in need at the Del Mar Fairgrounds. ETC completes construction of fifth home in Uganda! November, 2014 — ETC partnered with Sharon and Robert Osterholt who donated a fifth house to another well deserving family in Jinja, Uganda. ETC completes construction of fourth home in Uganda! July, 2014 — Sharon and Robert Osterholt were amazing partners with ETC and together, they donated the fourth house in Uganda. Gallery below! ETC completes construction of a third home in Uganda! March, 2013 — ETC Building & Design is excited to announce the completion of a third home in Uganda! See pictures of the transformation below! ETC completes construction of a second home in Uganda! September, 2012 — ETC Building & Design is pleased to announce the completion of a second home in Uganda. A neighborhood celebration is underway after months of hard work from our friends at COG and the local people with support from ETC. Finishing touches include a solar light source to provide enough light for Margaret and her two children to do their homework and read after the sun goes down. 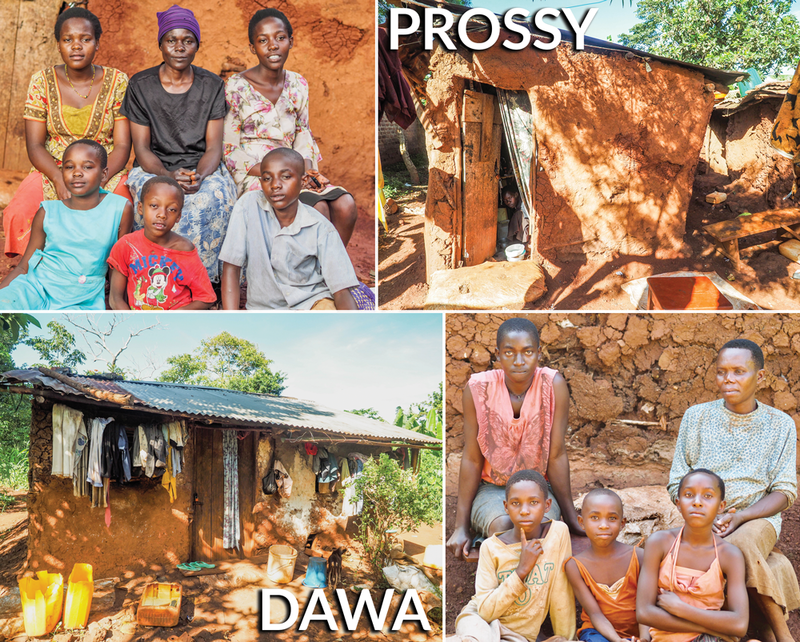 See photos of the completed home and the construction process, together with Margaret and her family below. The Read to Succeed Program is a HUGE success! May, 2012 — Children of Grace reached out to ETC this month to share exciting updates in Uganda made possible through our continued support of empowerment programs and operations in the area. With an impressive 87% literacy rate, Ugandan children are eager to open a good book. The challenge facing Children of Grace is that most children in Uganda have minimal access to reading material. ETC Building & Design stepped in to support “Read 2 Succeed!” – a mobile library which travels through different villages and towns providing CoG students with more than 1,000 books and special book readings outside the classroom. During a recent holiday break in April, more than 150 students participated in the Read to Succeed program! See photos of the Read to Succeed program below. Jajja, Caroline & Josepine: Pictured below are Caroline and Josephine. They have made tremendous progress in the two months since Children of Grace found them in an isolated village. Caroline is now very much enjoying the food she gets everyday. Josephine shows a newfound love of play. In addition, she now gets very excited when she sees the Children of Grace car pull up – and cries when they leave. A doctor visited here on a missions trip recently and performed a fairly simple surgery that helped straighten one of Josephine’s eyes. The girls are healthy enough to go home to their grandmother now, and Children of Grace is working to give her grandmother the confidence to care for the girls. October, 2010 — ETC founders Mike Essrig and Chris Taylor have just returned from a trip to Uganda where they got a first-hand view of the philanthropic work of Children of Grace. This organization offers hope to Ugandan AIDS orphans through education, nutrition, healthcare and empowerment programs to enable a better future. Essrig and Taylor experienced the poverty, devastation and disease in the villages there, and saw how Children of Grace is improving the lives of these children. The organization is extremely efficient in its support of some 700 orphans, with assessment, care and mentorship. ETC joined Gary and Mary Adams to help build the 2013 La Mission House Build in Mexico in only three days! 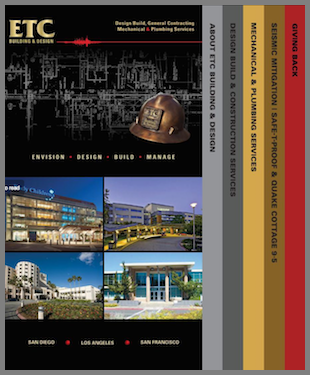 Copyright 2018 - ETC Building & Design, Inc.